We are less than a month away from the 41st Annual Earth Day on April 22nd. Around 150 nations worldwide will take part in the festivities of recognizing and appreciating the environment while discussing ways to improve and maintain our treatment of it. 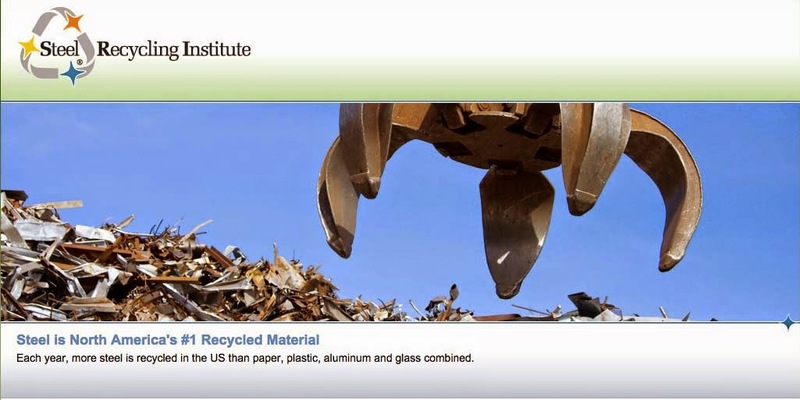 The Steel Recycling Institute is proud to help your Earth Day activities by providing, for a limited time, informational packets on the benefits and importance of recycling steel on our website. Steel is North America's #1 Most Recycled Material and it's continued sustainability is vital to the long term success of a environmentally responsible world. From a consumer stand point of placing food, beverage and aerosol cans in their curbside pickup to a business or home owner disposing of their replaced appliances by contacting a local scrapyard, these are all small but important steps that can be made every day of the year, not just Earth Day. In addition to fact sheets focused on specific markets (Appliances, Automotive, Construction, and Containers) there are activities for children such as coloring pages and a word search.